Jon slyly refers to this as, “A traditional song from Guernsey. Sort of… Not really.” For the Waits fans amongst you and I know there are a few. I was lucky enough to see him on the Heart Attack & Vine tour (Apollo Victoria 81), the album from whence this comes and his last before the stylistic lurch to Swordfishtrombones, Rain Dogs and beyond. I also saw the 85 shows that featured the latter, a real contrast, but by then I was utterly hooked and the first of those two is still one of my all time fave LPs. I think this nicely combines the love ballad (it was written about Kathleen Brennan who he married), with the concertina adding a hint of that twisted cabaret styling he latterly made uniquely his own. Many will also know this via Bruce and this Wiki entry has twice as much about his version as the composer, which I guess probably says much about their relative popularity. I remember desperately playing Tom T’s Blues to my mum, so convinced was I that it was a work of genius, but she just couldn’t get beyond his voice… Hey-ho. It’s nice to have those memories tweaked all the same and I love the pathos that simmers beneath the surface of this tender ballad. It’s as if the weight of love is almost too much to bear. Beautifully delivered. This entry was posted on Sunday, October 5th, 2014 at 12:00 am and is filed under News. You can follow any responses to this entry through the RSS 2.0 feed. You can leave a response, or trackback from your own site. Brilliant. The new concertina arrangement seems to suit this Tom Waits song very well. The ‘Heartattack and Vine’ album has long been a favourite of mine, mainly because of another song – ‘Ruby’s Arms’ – which I’d also love to hear Jon sing. Nice song well sung and excellent matching “fairground effect” on concertina…….but not my cup of tea…………I shall retreat into the shadows and wait to be awakened by the genre of “Early one morning” “Lass of Richmnond hill” “Strawberry fayre”……Whadya mean….I could be gone for ever! ‘sOK. More folk songs please. That is just so beautiful. I only know Tom Waits from Swordfish Trombones etc so I’ll go back a bit further. Thanks Jon. Lovely, I don’t know the Tom Waits song, but will check it out! Great stuff here. 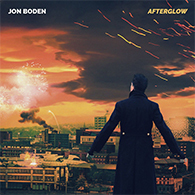 I’d like to see Jon really wind up the traditionalists by doing something like Ice Cube’s ‘It Was A Good Day’, if that’s not a track crying out for the accordian and fiddle treatment, I don’t know what is..
John. I love Nanci Griffith singing “Ruby’s Arms” on her ” Ruby’s Torch” album. She also sings Tom Wait’s “Grapefruit Moon” and “Please Call Me,Baby” on the same album. Neil: Not something I thought I’d be posting on AFSAD but you might enjoy the first track on this MySpace: http://www.myspace.com/kidlightning. Doubt if it Jon’s cup of tea though! The longing here shines through, just beautifully sung. Cheers, Neil – have a nice day yourself. Out of interest, what’s your understanding of the term “folk song”, as in the phrase “a folk song a day”? I should say, I wasn’t always a traddie – I used to go to a folk club and sing pretty much whatever I liked (Peter Blegvad, Robyn Hitchcock, bit of Morrissey, some of my own). I think a “let anyone get up and do anything” club is a fine thing, and if they want to call it a “folk club”, what the hell. But then I started going to singarounds, and I discovered that folk songs – traditional songs, if you insist – just work, in a way that hardly any contemporary songs do. And there are so few places you can hear them – and so many places you can hear singer-songwriter material – that it seems a real shame to redefine ‘folk song’ as ‘song not sung by a horse’. Thanks Brian. I didn’t know about that Nanci Griffith recording. Well, certainly ‘not sung by a horse’ – hahahahaha! 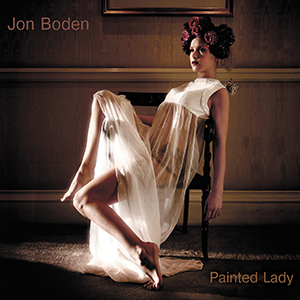 Very nicely rendered, Jon, and interesting to note that your voice took on a different tone in this ‘not-a-folk-song,’ if it isn’t, than when singing more traditional material. Assisted by the concertina, the feel was languorous with a touch of langeur, but then you get this lovely upswinging swell. The song has an old-world/time-past/reminiscent feel about it too. Having said that, though it’s atmospheric, I’m not sure it’s wholly my cup of tea either! But that’s not because it’s singer-songwriter material as opposed to a traditional song, which must have been singer-songwriter material once upon a time, though I understand Phil’s point was trying to make an appreciative distinction. I think it must be what works for the individual. Not all trad songs work for me by a long chalk, but many contemporary/acoustic roots type songs do. This song has a genuine ring about it, but it still doesn’t quite hit the mark for me. I’m not that familiar with Tom Waits’ music. Another thing to check out! Slight threadrift here, a Canadian group from Newfoundland do a really great job on another Tom Waites song, which I had not heard before. It is called the Briar and the Rose. I would like to hear Jon do his stuff on That one too. 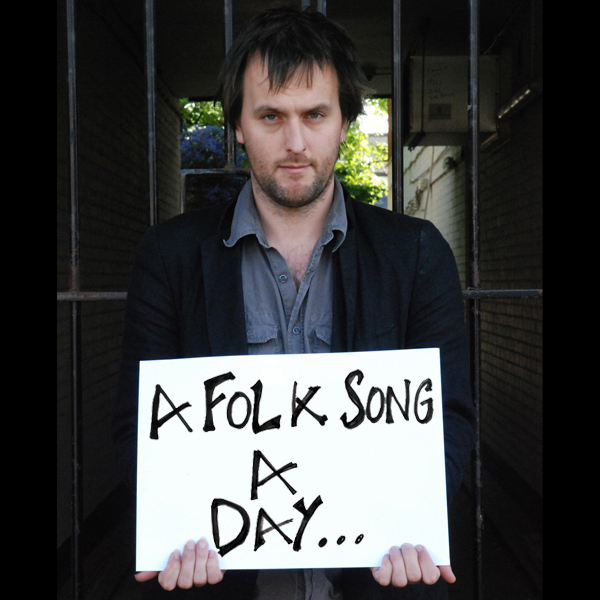 Folk, schmolk – one of Jon’s best yet, and one I’d love to hear belted out at a session, sha-la-las and all. As a bona fide Jersey Girl, and one that grew up in a faded seaside town, this arrangement rather resonates with me! Thanks. What is the difference between the singer / song writer of today and the writers of the old broadsheet ballads of two centuries ago ? I think we are in danger of getting up our own backsides in this debate. You either like the song or you do not. I have not yet heard a Tom Waits song that I like, and this one does not work for me. However, if Jon were to sing a James Taylor song I would probably love it. What the old songs have is history; they occupy a slot in time, be it thirty years ago or three hundred years ago and this is what adds to their fascination. So let us just enjoy the huge variety of song available to us and carry with us what does it for us. The perfect birthday present! Thank you! But when I think of Tom Waits, I think of his “Blue Valentine” album, which I bought while in high school and which opened my eyes to a whole new world. Exactly. They’ve lasted (and generally changed along the way). That’s what makes ’em folk songs. Aaah! The old debate surfaces again. I understand your preference for the tradition Phil, but if songs get sung the tradition moves on. Who’s to say what singers 200 years hence will be singing. It may be this one it may not, either way it doesn’t much matter and there’s no amount of ring-fencing today that will make any difference. It simply won’t be our choice. I prefer to think of folk as still alive rather than having reached it’s end with the broadsides. That is my choice and my taste, that is all. I guess there are just some people who think of ‘folk’ as something you can define (& which you may or may not like) & some who think that if you like it you can say it’s folk, probably, kind of, close enough. I listen to lots of contemporary music – I even sing contemporary songs (I think they’re actually in the majority on 52 Folk Songs at the moment). I just don’t think they’re folk songs. But I’m sorry to have opened the Endless Question up again – I should have resisted the temptation! No apologies or sorrow needed Phil… It’s genuinely interesting and I certainly didn’t intend to have a pop. I was just trying to make the point that we are too close to Jersey Girl, besides which it exists in recorded format. The very fact that an individual’s performance can be now kept, theoretically for ever has changed the landscape of music irrevocably. But if singers sing Jersey Girl, is that not the same process that took say Lord Randall or Tam Lin from just being songs to being folk songs. It’s not now, but 100 years and more when those songs that have gone through that process and are still being sung, even revived, will become the genuine folk music of that generation. I’d love to be around to see what happens, but will have long since danced the doleful dance… Over the year of doing this my apprecation of the wealth of the tradition grew exponentially. But with that came the certain knowledge that the origins and process by which songs survive are often shrouded and arcane. Yet survive they do pouring from the lips of singers. Whatever the material, I pray that never stops. Jon sings it so well but a folk song it is not. I do like the concertina thougn. Sorry AFSAD’ers..I’m having another silly 5 minutes! And why not? Laughter is a tonic and I enjoy your inane comments Muzza. Still love this one. !!! I’ve discovered some of the youngsters around C#H have never heard the old warhorses of The National Tunebook. Now I’m most certainly going to insist that those arrangements are utterly and desperately wrong, but at the same time I’m wondering if the songs themselves are not beyond salvation. One of those sort of feel good songs….struggle to get to grips with Tom Waits but keep listening to the odd one….. Especially love the oompah, oompah background of the concertina. Reminds me of when I was struck down with Scarlet Fever in 1950 (it could have been fatal way back then)…..they took every thing from me except my jammies and I was in a total isolation cubicle for 6 weeks and all I had was a tiny ‘motto calendar’ and I had to ration reading the little sayings to one a week…….no wonder I’m tempted to pig out and gorge on a month’s AFSAD .